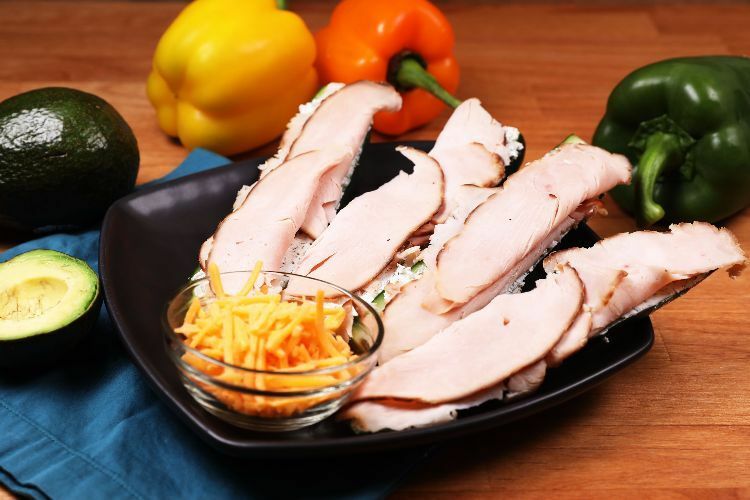 Need to freshen up your low-carb lunch options? Feel as though your carb-free repertoire needs an overhaul? 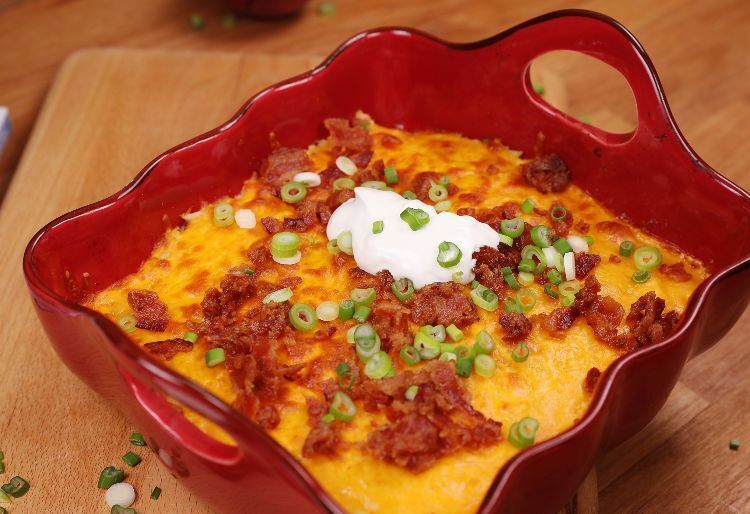 We've rounded up some fabulous ideas that will have you counting the minutes until lunchtime! 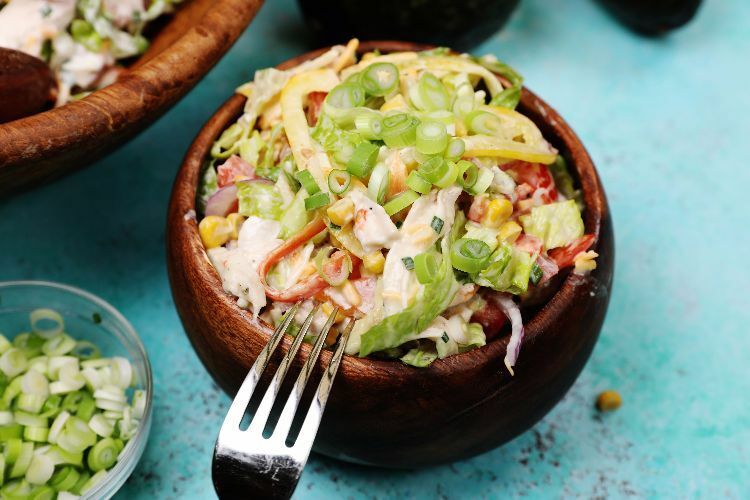 Whether you're low-carb dieting to lose weight or maintain a healthy weight, these recipes are designed to make sure you never feel as though you're missing out! How cute are these little 'sandwiches'? 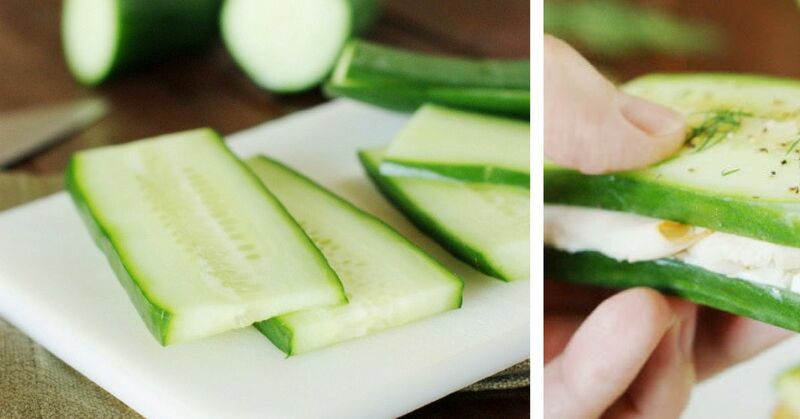 The combination of creamy spread, fresh cucumber, and smoked meat is very satisfying and beautifully balanced for a delicious and light lunch. Lunch doesn't always have to be light. What about those days when you're ravenous, and a tiny salad just isn't going to cut it? 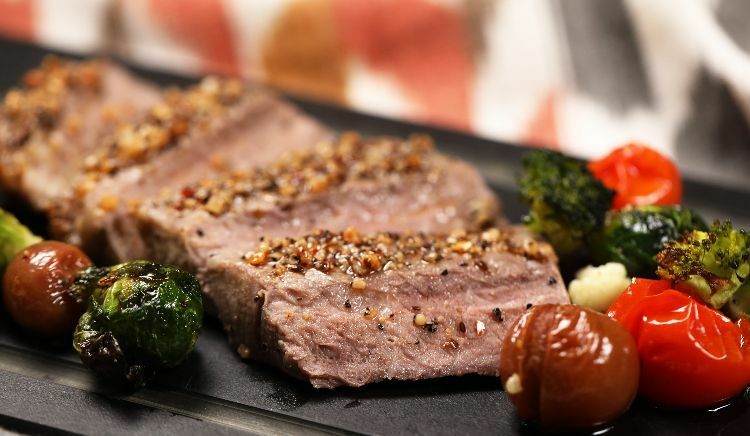 This awesome platter of roasted steak and veggies, beautifully seasoned with garlic and herbs, is perfect for when you need a serious lunch! Cauliflower is a cornerstone of the low-carber's diet. This gorgeous dish manages to taste utterly decadent, while actually being pretty healthy. So feel free to help yourself to seconds! 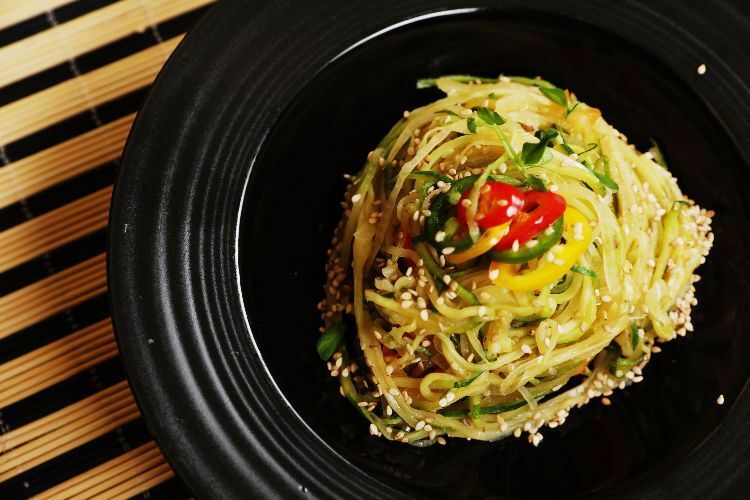 Zucchini noodles are a real game changer for pasta lovers who want to go on a low-carb diet. This brightly flavored, Asian-inspired dish is delicious. Don't be tempted to skip the sesame seeds — they add a fabulous crunch! The pretty salad is layered so beautifully, it's almost a shame to eat it! But you should, because it tastes fantastic. 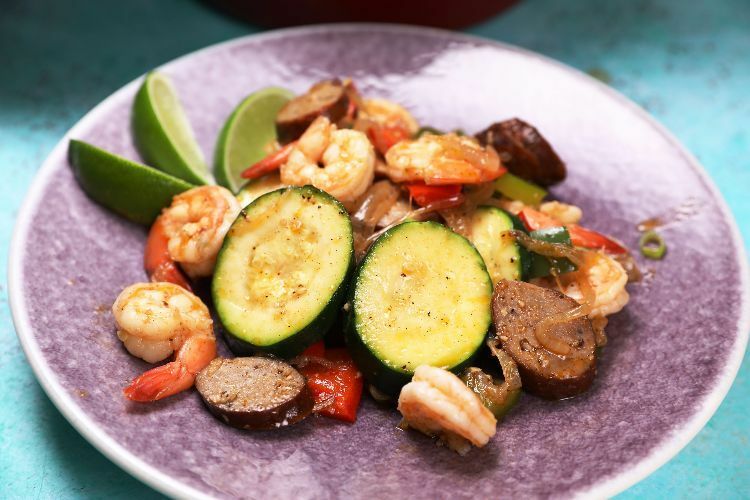 Fabulous for a weekend lunch, this colorful stir-fry of spiced vegetables, smoked sausage and shrimp is a real treat. 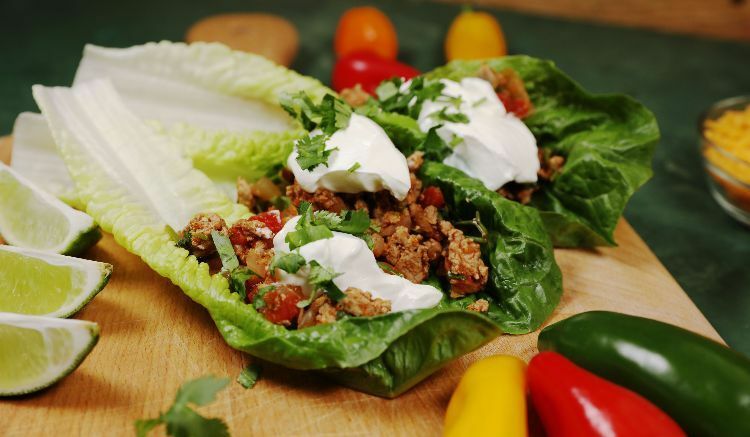 With lean turkey and all the familiar flavors that you love in a regular taco, this fresh and healthy, lettuce-wrapped version is a real treat for anyone trying to cut the carbs. You can tell just by looking at it how great this is going to taste. 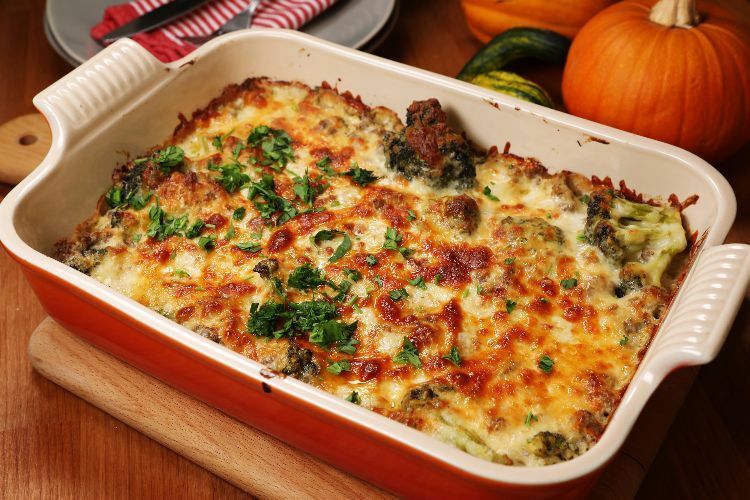 The richness of the recipe is beautifully balanced with the smart addition of fresh broccoli, making this a perfect treat for lunch!